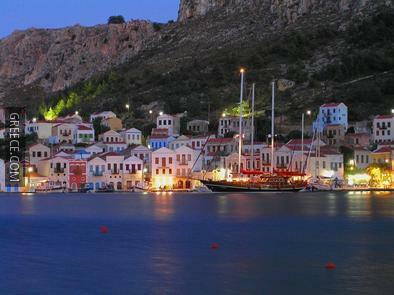 Kastellorizo, which belongs to the Dodecanese group, is situated at the southeasternmost edge of Greek dominion. It is officially known as Megisti since ancient times. 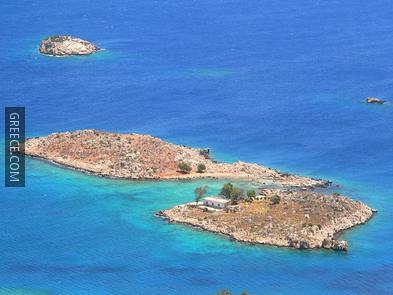 The island has a total surface area of 9.2km² and it is located about 116km from Rhodes and only 2km from the Turkish coast. 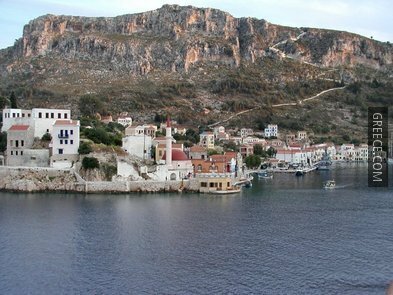 Kastellorizo is mountainous and rocky and combines beautiful scenery, ancient monuments, gentle people and peaceful quiet holidays. 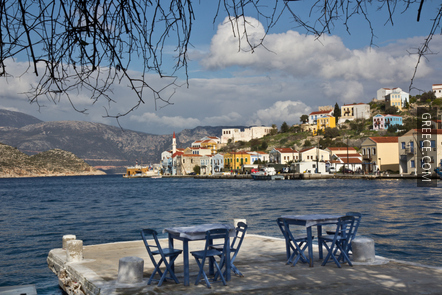 Kastellorizo is probably the quietest island you can find in the Mediterranean Sea. With no more than 300 inhabitants the shuttle bus and the only taxi are two of the few modes of transportation on the island. 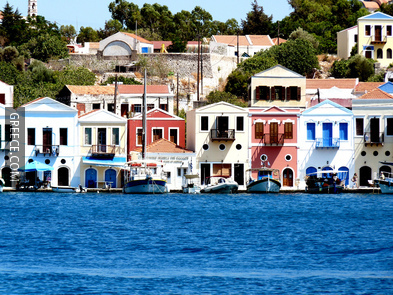 There are nearly no streets in the only town of the island. In addition, as there is no real environmental interference, the island is a natural and biological paradise and a number of animals and plants developed undisturbed here. Among them, water turtles, dolphins and the monachus-monachus seal are some of the most impressive. 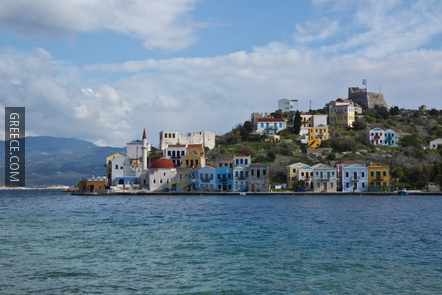 The ancient name of the island, Megisti, comes from its first settler Megisteas. 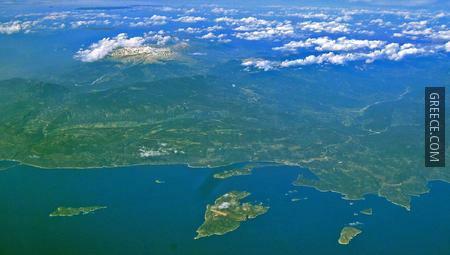 However, according to another legend, the name was given because the island was the biggest from all nearby islands. 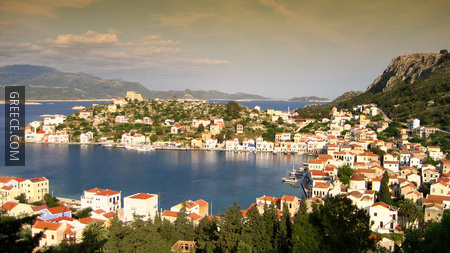 The present name, Kastellorizo, derives from the Italian word “Castello” meaning “Castle”; the second part of the name may stem from the word “rosso”, either due to the reddish colour of the rocks of the island, or the colour of the coat of arms of the Great Master of the Knights of Rhodes Hederia, which stands above the gate of the castle. 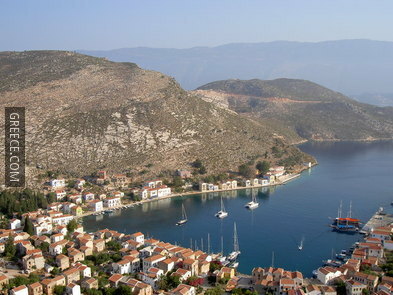 Little is known of its ancient history, due to few documented findings and the nearly zero excavations in Kastellorizo. Ruins on the island date its history to the Neolithic Times. 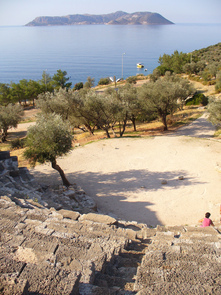 There are ruins of cyclopean walls, evidencing the settling of Pelasgoi, Aegean People, in the island. 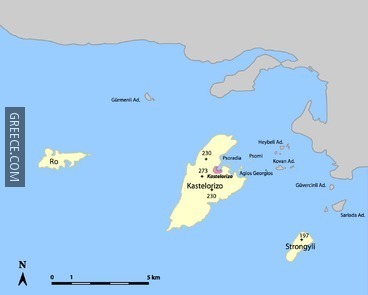 The Minoans and later, the Mycenaeans also seemed to have visited the island as exhibits in the Archaeological Museum of Athens show. 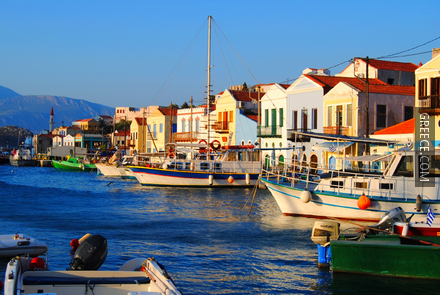 Settling of Dories and Lycians from the opposite coast of Asia Minor followed. During the Hellenistic period, the island was ruled by Rhodes, being part of its Peraia. 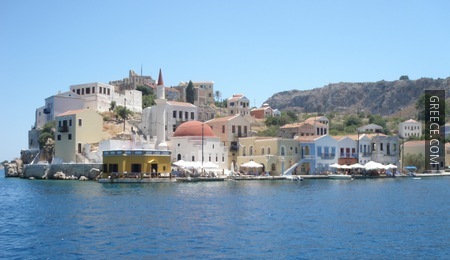 In the Byzantine Empire, Kastellorizo was part of the Eparchy of the Islands, whose capital was Rhodes. 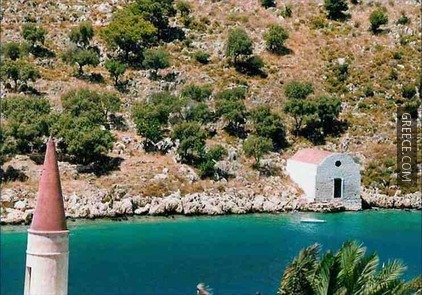 In 1306, the island was taken over by the Knights of St. John of Jerusalem. They restored the castle, which was thereafter used as prison for unfaithful knights. In 1440, the island was occupied by Sultan Djemal-el-din of Egypt, who destroyed the castle. Ten years later, it was conquered by Alfons V of Aragon, King of Naples, who rebuilt the castle, in 1461, and sent a governor there. Naples kept the rule until 1512, when it was conquered by the Ottomans. 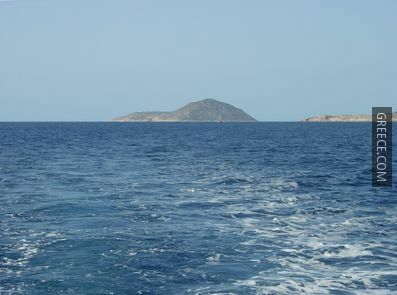 The island remained in Turkish hands until the beginning of the Greek War of Independence, except for a short period of time (1659), during which the island passed to Venetians. 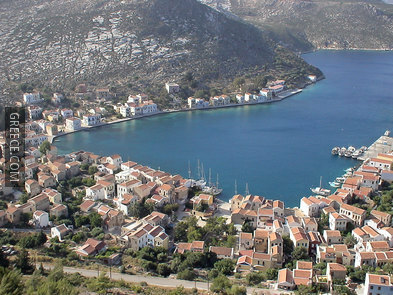 Between 1828 and 1833, Kastellorizo joined the Greek insurgents, but after the end of the Revolution, it came back in possession of the Ottoman Empire. In 1912, during the Libyan war between Italy and the Turks, the inhabitants requested to be annexed to Italy, like Rhodes. 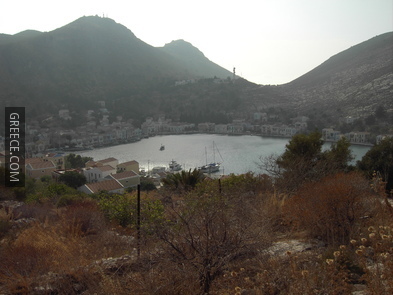 The refusal of the Italians made the inhabitants of Kastellorizo to take action. In 1913, they captured the Ottoman garrison and proclaimed a provisional government. 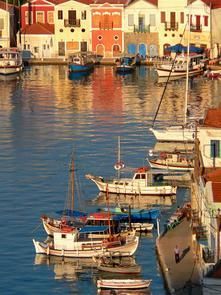 In 1921, due to the Treaty of Serves the island was assigned to Italy. 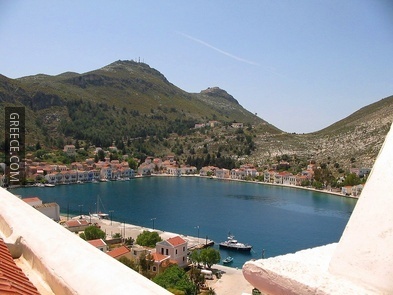 Kastellorizo was then integrated in the possession of the Isole Italiane dell’Egeo. 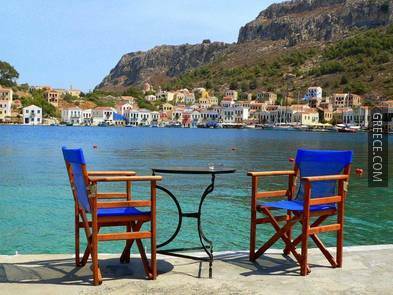 The 1932 Convention between Italy and Turkey, which defined the sea border between the two powers, assigned all islets of the small archipelago around Kastellorizo to Turkey. During World War II, British Commandos were able to occupy the island, but Italian forces from Rhodes reconquered it some days later. When Italy capitulated to the Allies, the island was briefly occupied by British commandos again, until mid-1944, when German forces took it over. During the British departure, a flue dump caught fire and spread to an adjacent ammo dump, which detonated and destroyed half of the houses on the island. 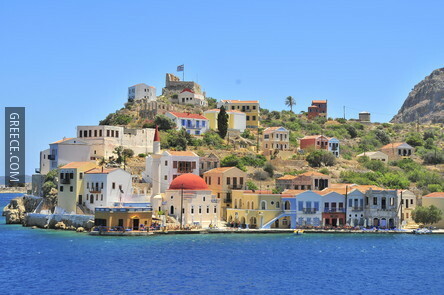 Kastellorizo was assigned to Greece with the Paris Peace Treaties of 1947. 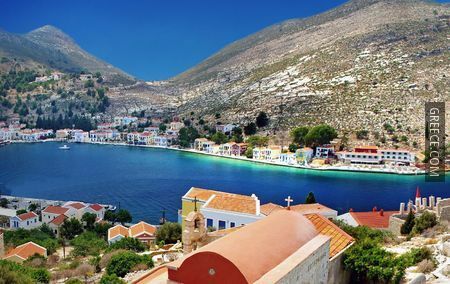 Although Kastellorizo is devoid of beaches, it is possible to swim from the rocks at Agios Stefanos, a 40-minute walk north of town, and the main harbour is unpolluted, so a quick dip from the terrace of Hotel Kastellorizo is also possible. 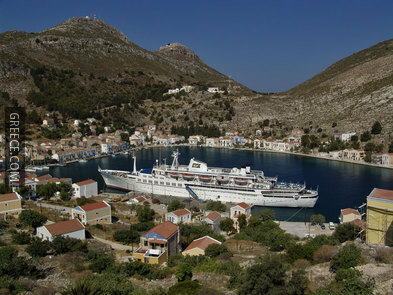 Ferry & Catamaran: Kastellorizo is the least connected island in the Dodecanese archipelago. 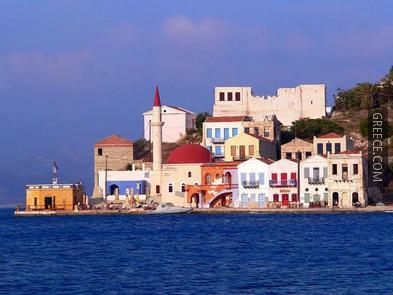 Ferry links are subject to seasonal changes and the only direct destination is Rhodes (4 hours). 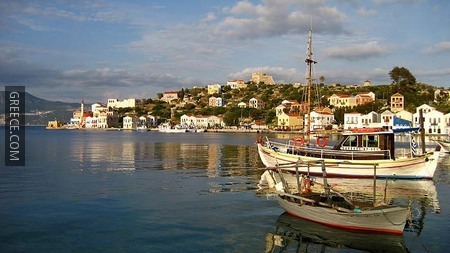 Air: You may reach Rhodes by air and then take the local ferry to Kastellorizo. 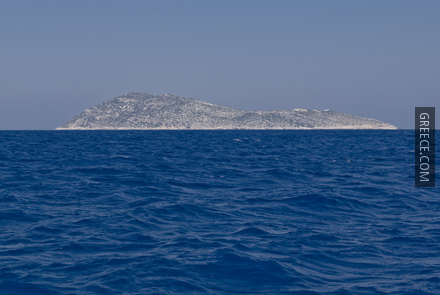 Excursion boats go to the islets of Ro, Agios Georgios and Strongyli and the spectacular Blue Cave. The other alternative on an island without cars is on foot! 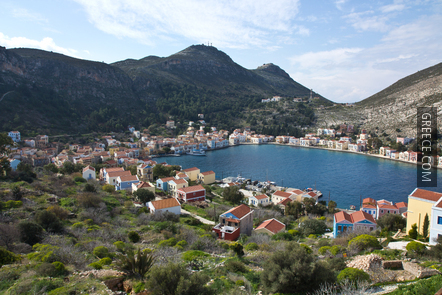 The climate of Kastellorizo is similar to the rest of the islands of the Dodecanese. 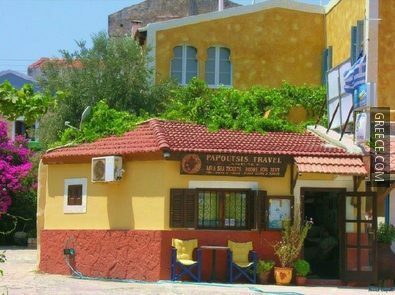 It has a mild Mediterranean climate characterised by sunny summers and mild winters. Refreshing breezes and winds blow during the months of July and August, making the summers quite comfortable.